Having talked and photographed several marriage proposals, the #1 challenge most proposers have is: how and where do I hide the ring? Presenting, The Ring Stash, the perfect solution to a bulky engagement ring box. When proposing, most guys aren’t quite sure how to hide the complimentary ring box that comes with their engagement ring purchase, which is about 2 inches wide, deep and tall. And then there’s the issue of getting it through airport security with your girlfriend a few feet away or how to hide it in your suit jacket or pants without it screaming to your future fiancée, I’m about to propose. Enter: the best solution on the market right now, The Ring Stash. 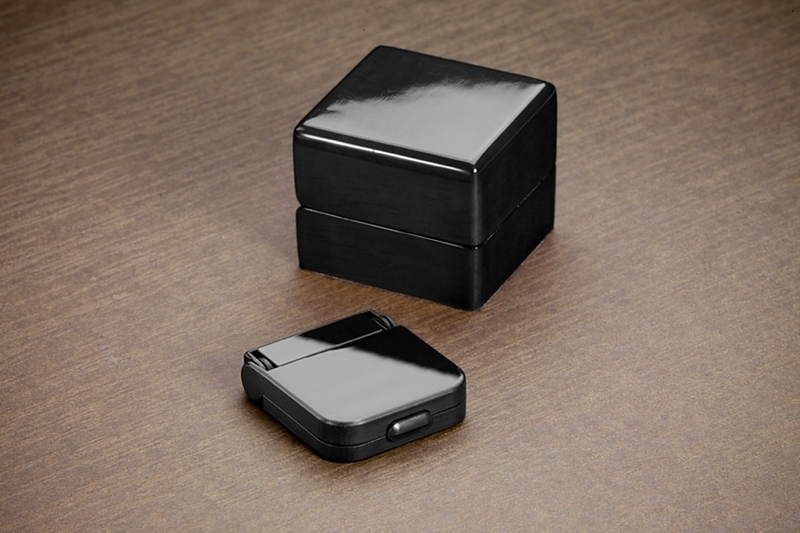 A sleek, not easily identifiable sleek black container. If it falls out on the fall, she might not be sure what it is… because it looks kind of like a large black square Pez dispenser or not quite sure what it could be. I was so excited when Marvin and Michele of The Ring Stash introduced The Ring Stash, a slim engagement ring box, because honestly, I’ve heard instances where the surprise proposal didn’t end up being a surprise because the ring box fell out way before the proposal happened… so she knew a proposal was about to happen. What a bummer! Why did you invent the Ring Stash? 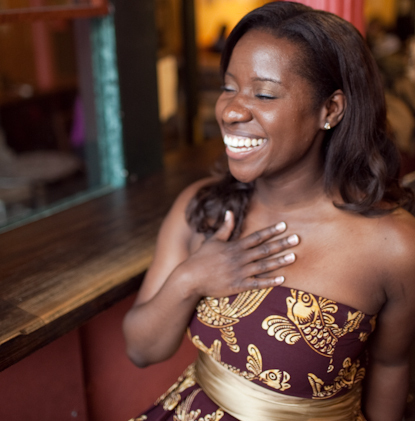 The Ring Stash was first thought of in 2011 by Marvin (one of the founders of Ring Stash) when he found that many men had the same problem he had when proposing; they had no practical way to hide their engagement ring. Engagement ring boxes are just way too large to be inconspicuous on their clothing. In 2010 Marvin experienced this problem first-hand during his own engagement because he had to resort to placing my engagement ring in his pocket without an engagement ring box. The Tiffany box it came in was just too large to hide. Having the naked engagement ring in his pocket was hardly ideal either since it caused him to be overly nervous throughout the night worrying that he might lose it or drop it when the actual proposal moment came. That is when he decided to put his MIT degree to good use and invent a solution. What are its dimensions vs a standard ring box? The average engagement ring box that a guy gets for free with his engagement ring is 2 inches thick, more specifically, 2″ x 2″ x 2″. The Ring Stash dimensions are: 2″ x 2″ x .5″. The Ring Stash can fit a max diamond diameter of 3/8″ (9.5mm). The maximum ring bad that can fit into the Ring Stash has a band width of 5/32″ or 4mm. If a potential finance came across it, what would they think it was. Check out the photos! The Ring Stash is a flat, modern, and compact case that does not look like an engagement ring box. It looks more like it is possibly a manly gadget, something a girl wouldn’t really think to open and would definitely not think an engagement ring was in. What are some features & benefits? 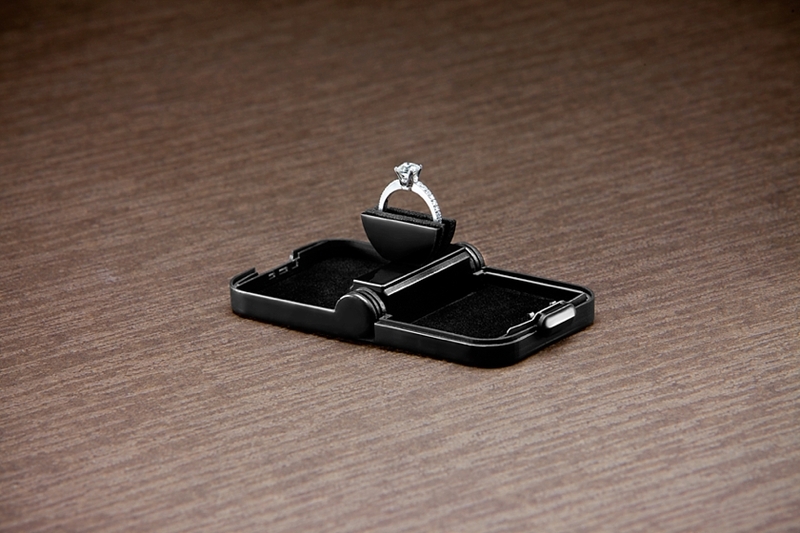 Features are the fact that it is 0.5″ thickness, it has a security latch to keep your ring safely secured inside, a rotating ring holder to provide beautiful presentation of your engagement ring (great for photos), and velvet interior lining. It is also lightweight and durable. The benefits are that it easily hides the ring while protecting your investment and your surprise at the same time. How much does it cost and shipping details? To buy Ring Stash, simply go to www.ringstash.com and click “Buy Now.” The Ring Stash is $99.99 and ships within 1 – 2 business days of receiving the order. If going through airport security, where do you place it? You should put any engagement ring box or the ring itself in your carry-on. You should never put it on your person because if it got flagged for any reason, you could be asked to empty your pockets, socks, etc. With The Ring Stash, they aren’t just buying an engagement ring box, they are buying an experience and the ability to have their ring, secure on their body the whole day, without their girlfriend catching on to the surprise. What a shame it would be to spend so much money on the ring, the perfect proposal idea, a proposal photographer, and have her figure it all out before the moment!